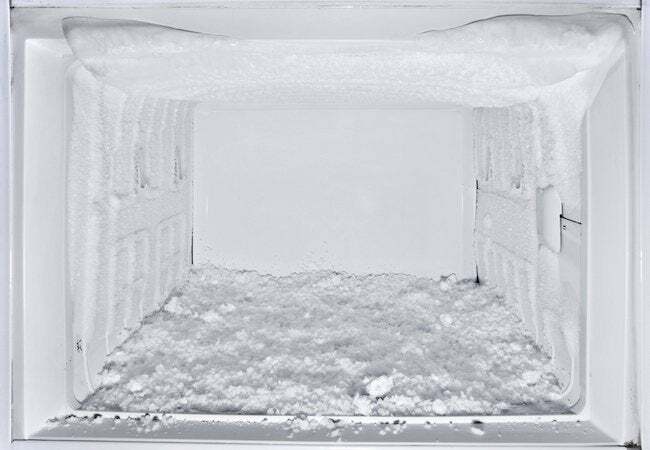 Defrost older freezers from time to time, not only to keep the appliance working efficiently, but also to prevent ice from hogging the storage space within. It's a simple task—you'll just need a few towels, a little time, and some heat. Have you got a freezer full of frost? That’ll happen. Fortunately, defrosting a freezer isn’t as big a deal as people make it out to be. Yes, it’s a bit of hassle, but there are definitely benefits. Once you’re done, you can expect the appliance to run more efficiently, which can mean lower electricity bills. And you’ll win back precious freezer space for storing microwave pizzas and pints of ice cream. Rather than put off the chore for another month (or six), scroll down now to learn how painlessly simple it can be to defrost a freezer. At the outset, you face perhaps the most difficult step in the process: Because food must be removed from the freezer before it’s defrosted, you’ll have to somehow keep everything from thawing out in the interim. If you can’t borrow space in a neighbor’s freezer, the best alternative is to place frozen food into a cooler (or even an airtight plastic bag), together with a suitable number of ice packs. Of course, another way to handle the problem is to plan far enough ahead so that you can eat up a good portion of your stock of frozen food in the weeks before you defrost. Next, turn off the freezer before taking out all the removable parts inside, such as shelves, drawers, and trays. (Some parts may be so covered in ice that they refuse to budge; in that case, wait until the ice has melted enough to release its hold.) Before you move on, pile up old towels or dishrags beneath the freezer door to soak up the water that inevitably drains out of the chamber during the defrosting process. • Place bowls of hot water into the freezer. The heat from the steaming water will get the ice melting. Replace the bowls every five minutes or so to sustain the momentum. • Use a hairdryer to blow hot air over the ice. For safety’s sake, move the hairdryer around so that no one area gets too hot, and be absolutely certain that the melting ice comes nowhere within reach of the electrical outlet you’ve plugged the dryer into. Of course, if you’re in no hurry, you can simply wait for the ice to melt on its own! Once the ice begins to melt, break it up into pieces and remove them with a plastic spatula. Don’t scrape too hard—and definitely don’t use a metal tool—or you could damage the interior of the freezer. As you pull out chunks of ice, put them in the sink or a large mixing bowl. All the while, try to keep dripping water contained to the towels you’ve placed at the base of the appliance. With the ice gone, proceed to clean the freezer. Dry it completely before turning the appliance back on. If there are water droplets in the chamber when the freezer returns to operation, ice is just going to accumulate again, and quicker than you might expect. 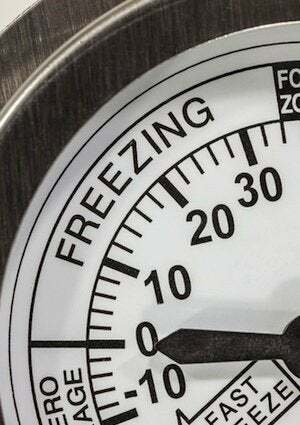 The more often you defrost the freezer, the less time-consuming the process will be.